Attorney Borofsky is the founder and senior managing partner of Borofsky, Amodeo-Vickery & Bandazian, P.A. After clerking in the Federal Court and then working for a large firm for a few years, Attorney Borofsky started the Legal Clinics in 1978. The Legal Clinics was the first law firm in the state of New Hampshire to concentrate in serving the legal needs of middle-income people. In 1996, the Legal Clinics changed its name to Borofsky, Lewis & Amodeo-Vickery, P.A. to reflect the firm’s evolution toward a more traditional practice of law. In 2001, the firm underwent an additional name change and has since been known as Borofsky, Amodeo-Vickery & Bandazian, P.A. During the past forty years, Attorney Borofsky has developed a broad, general practice with a concentration in many areas of the law. His practice focuses in Personal Injury, Divorce and Family matters, Corporations, Business and Contracts, Probate (Wills, Trusts and Estates) and general litigation. Attorney Borofsky has always been very active in local and state bar associations. Currently, he is a member of the New Hampshire Bar Foundation IOLTA Grants Committee and serves on the Board of Directors of the New Hampshire Civil Liberties Union. In the past, Attorney Borofsky has served on various New Hampshire Bar Association Committees, and he is also a past-President of the Manchester Bar Association and former Board member and former Vice President of New Hampshire Legal Assistance. For several years, Attorney Borofsky volunteered as a Superior Court Mediator and ultimately received an award for his extraordinary contribution to the public and judicial system. In addition, he served on the Superior Court’s Committee to rewrite the Court’s mediation rules, the New Hampshire Supreme Court Committee that re-wrote the Rules of Professional Conduct and the New Hampshire Supreme Court’s Advertising Committee. 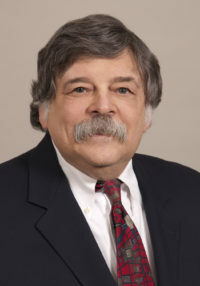 As part of Attorney Borofsky’s long-time service to the New Hampshire Civil Liberties Union, he is also as a member of that organization’s Legal Panel and has handled a number of civil rights cases during the course of his legal career. To request your initial consultation, complete and submit the form on this page, call 603 625-6441 or click here to send us email to schedule your consultation with a knowledgeable attorney.